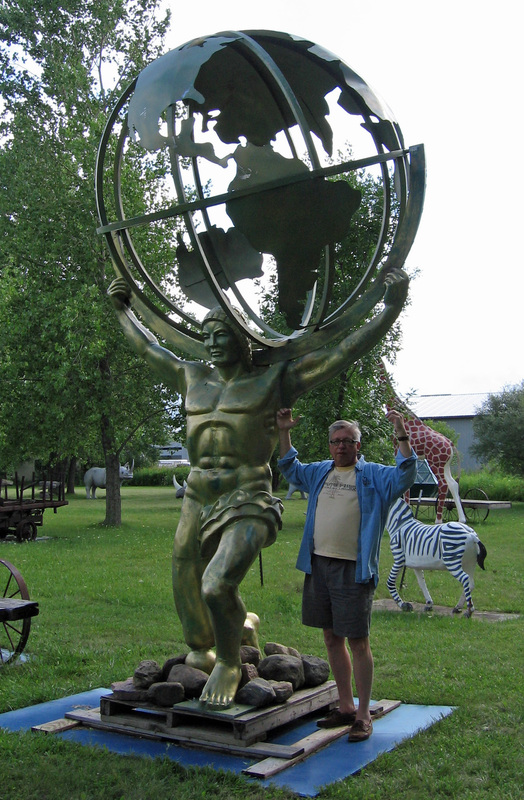 Mel’s Atlas – The Home of My "Big Things"
A Wisconsin bonanza. Mel Schettl Sales in Oshkosh. I was able to get images to fit every category. There were Big Things inside the Flea Market and outside in Mel’s Garden. Overwhelming to say the least. You can see the zebra and giraffe in the background. I’m sorry that Mel wasn’t there when we stopped by, I guess he was out buying some more Big Things.